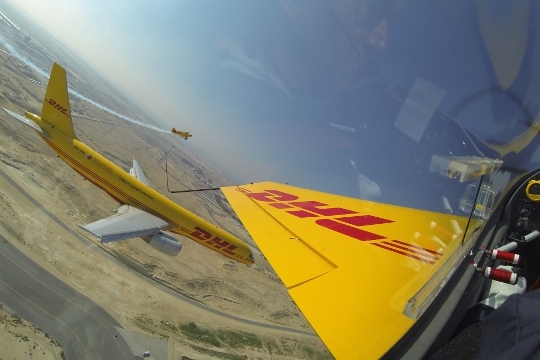 This winter we performed at the Bahrain International Air Show, as part of the DHL Aviation Display Team, featuring close formation aerobatics plus a unique flypast off the wing of a DHL 757 freighter. Like us on Facebook to hear the latest news, and to guarantee seeing some of the best in aviation photography. We’re based in the United Kingdom near Cambridge and travel to events throughout the UK and near continent, and to major events worldwide – especially during the European winter. Please browse our website for more information about the Aircraft, Pilot, and Display. 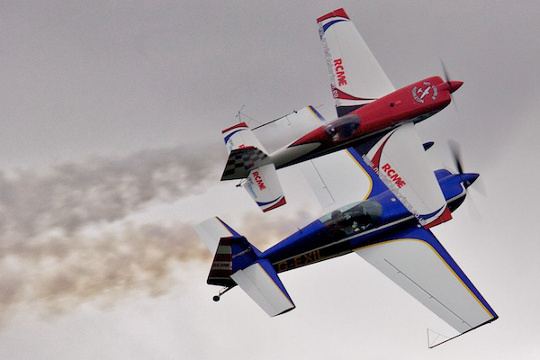 It would be a privilege to demonstrate the aeroplane and our aerobatic skills at your event. Check out our exciting Videos! Please see the Links section for more photo credits! Copyright © 2014 G-Force Aerobatics. All rights reserved.